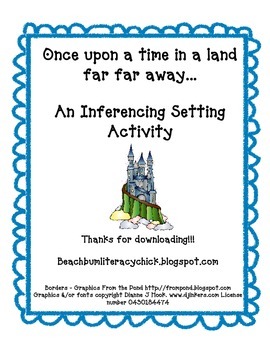 This activity focuses on inferencing the setting of a story. The first activity is a set of task cards (18). 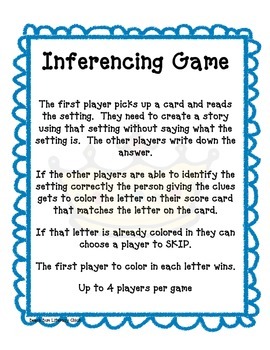 Each of the cards have a paragraph on them and the students need to use their inferencing skills. Students write the setting on their answer sheet as well as the clues they used to identify the answer. The second activity is a game. One each card is a setting. 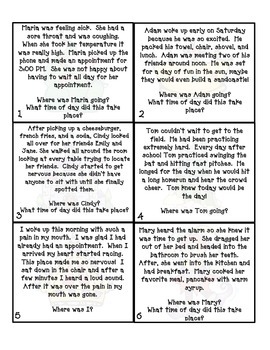 Students need to come up with a short paragraph describing that setting without saying the word on the card. 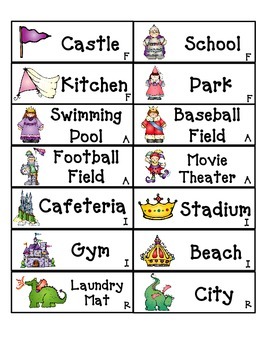 Both activities are common core aligned and the standards are listed within the activity!